This year’s list features a number of the usual suspects, but there are also a few new entries. Other notable entries include “welcome” at #13, “football” at #16, “Donald” at #23, “password1” at #24, “freedom” at #29, “hello” at #68, “test” at #88, and “whatever” at #91. 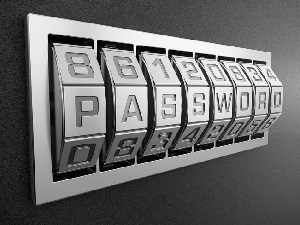 Obviously, if you see a password you use anywhere on this list, you should change it immediately, as these are incredibly easy to guess, which makes breaching your system a trivial matter. SplashData’s CEO Morgan Slain described the persistent entries on the latest report as being “a real head scratcher,” especially in light of the fact that there have been so many high profile data breaches over the last few years. It’s not like people are unaware of the risks and dangers. Yet, the message just isn’t getting through to a majority of users. Year after year, we see the same easy to guess passwords showing up on the list. It’s an even mix of frustrating and dangerous. From an IT Security Manager’s or business owner’s perspective, the key issue is this: It doesn’t matter how extravagantly you spend on data security if your employees are using passwords like this because hackers can simply circumvent your expensive security solutions. Sadly, based on the statistics, it’s overwhelmingly likely that more than a few of your employees are making it laughably easy to breech your system. Connectech recommends you purchase a password manager like 1Password, and we can assist you with this. Read More.